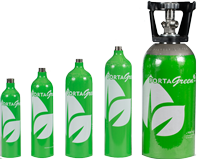 Portagreen Strip and Ship Recyclable Cylinder Program provides a Zero Cost, No Hassle Method of Returning Empty Gas Cylinders in Australia. With a wide range of NIST traceable calibration gases available for gas detection instrument calibration and maintenance. Refillable The Portagreen range of cylinders are made from a unique design, enabling re-use of traditionally disposable cylinders. Recycling reduces the environmental cost of landfill. Compact With the ability to carry twice as much gas, or half the size of the old style cylinders. Shelf Life Enhanced production procedures reliably deliver reactive gases with the longest shelf life. Currently 36 months for non-reactive gases and up to 24 months for many reactive gases including the quad mix with H2S. Recyclable Every Portagreen cylinder is supplied with the unique “Strip & Ship” program, which includes a reply paid consignment note and packaging tube for easy return shipment of the empty cylinder. Once the empty cylinder declaration has been signed, the cylinder can be packed in the tube and shipped for recycling at no additional cost. Australia Post have partnered to deliver the first return program for small portable gas cylinders. This “Strip and ship” recycle program uses Australia Post’s “Reply Paid” service enabling economical return of the cylinders to Portagas for refilling. Demonstrate participation in an environmental program. Safely dispose of pressurised cylinders without having to cut or drill. Australia Post has limited participation of the strip and ship program to within Australia and vented (empty) cylinders formerly of dangerous goods class 2.2 only. 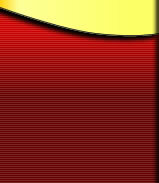 The approved reply paid packaging label must be in colour and clearly visible. The standard Australia Post Dangerous Goods declaration has been used and must be signed. Australia Post do not classify empty cylinders formerly of class 2.2 as dangerous goods, so it is ok to sign this declaration if the cylinder class was 2.2 and the cylinder has been verified as being empty. There must be ventilation holes in the packaging. The cap must be attached to the packing tube with tape. The maximum weight handled by the reply paid service is 20 KG. There is no need to pack multiple cylinders into a box. Cylinders can be dropped into the nearest mailbox, delivered to the nearest post office or picked up with a messenger post service. © 2016 The Canary Company . All Rights Reserved.